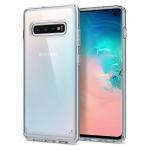 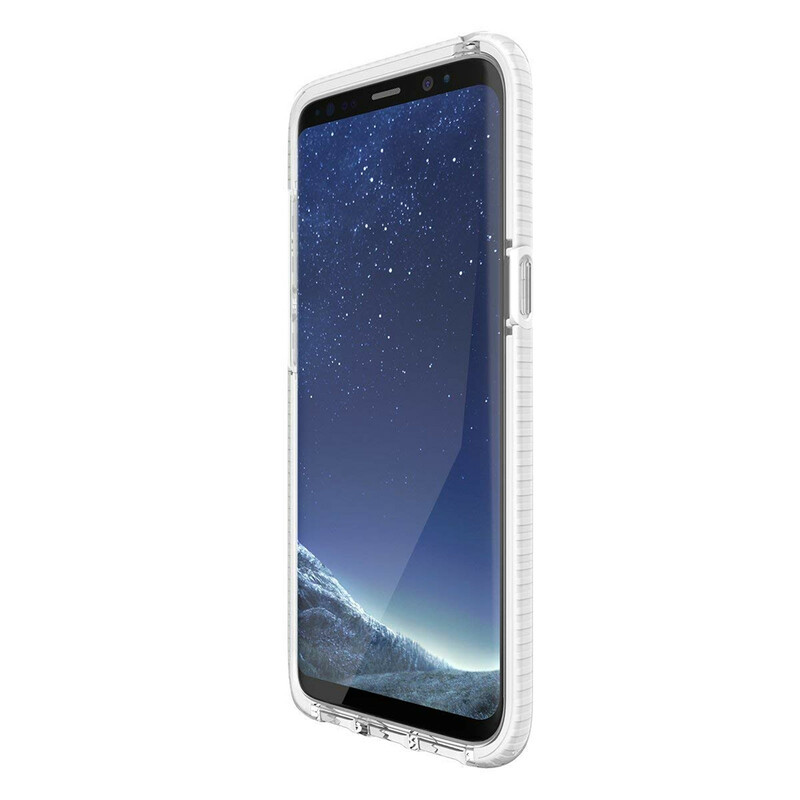 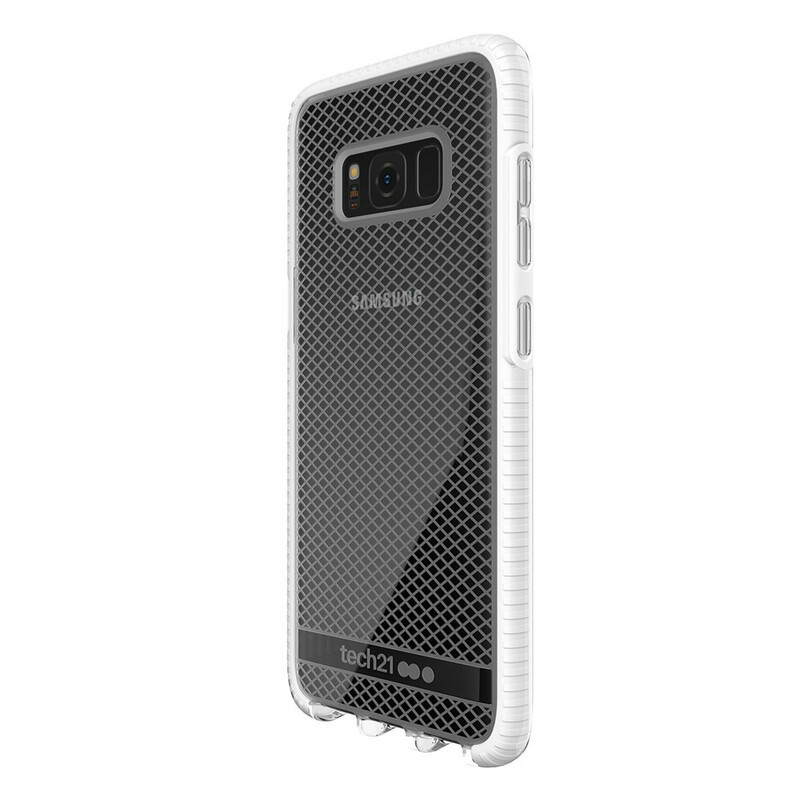 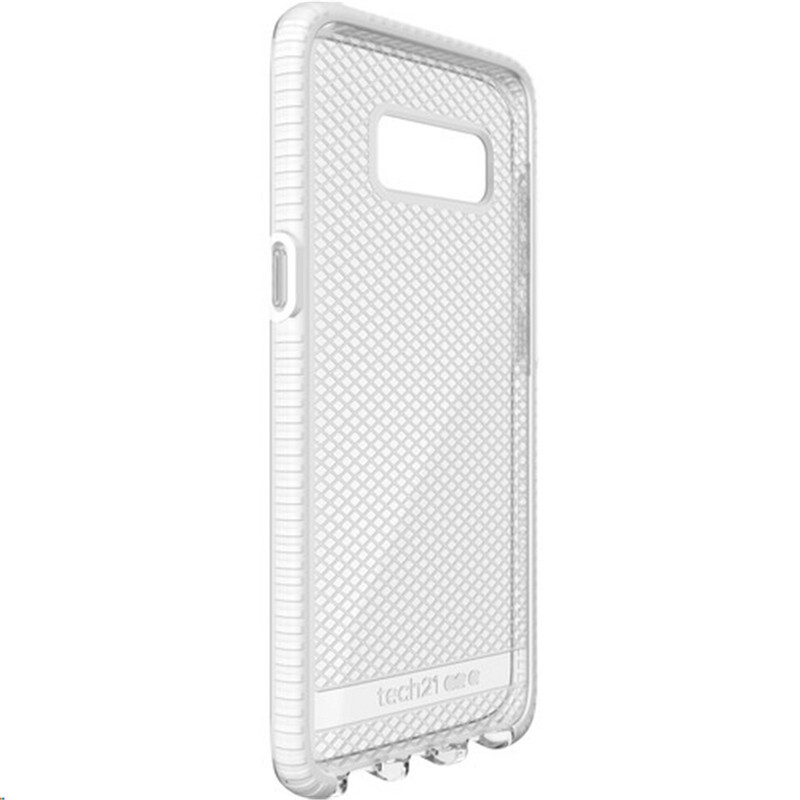 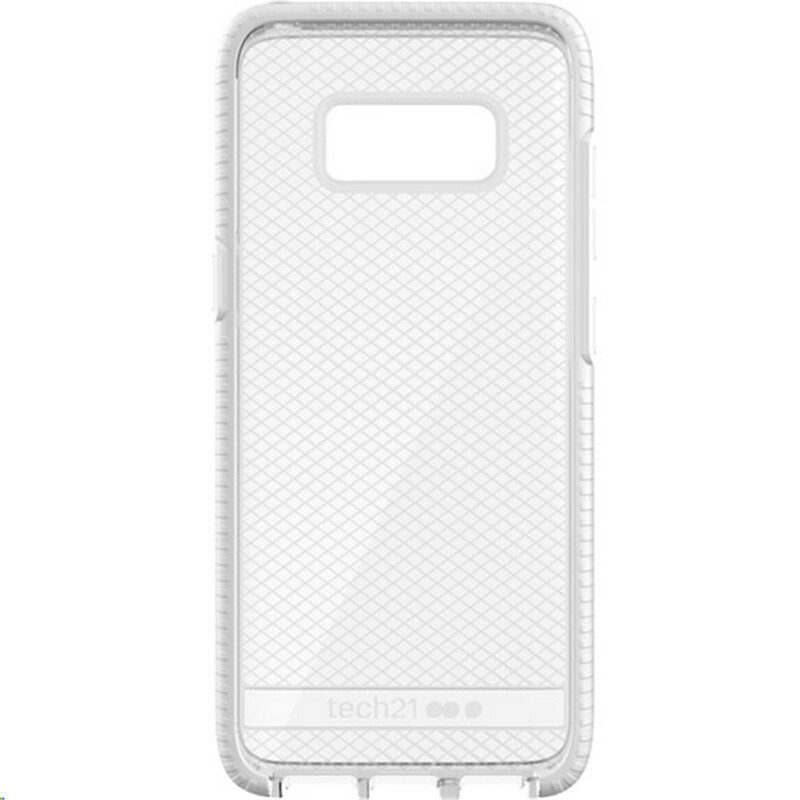 TECH21 Galaxy S8 Evo Check Case - Clear/White, Ultra-thin & lightweight, 3m/10ft Drop protection. 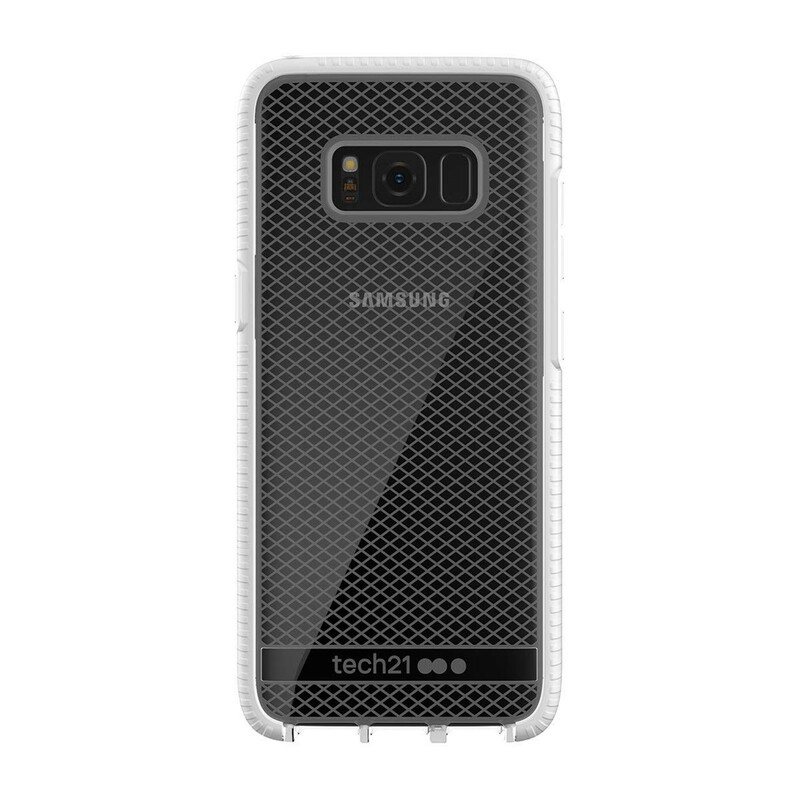 Protect your Galaxy S8 with the clear and white Tech21 Evo Check Case. 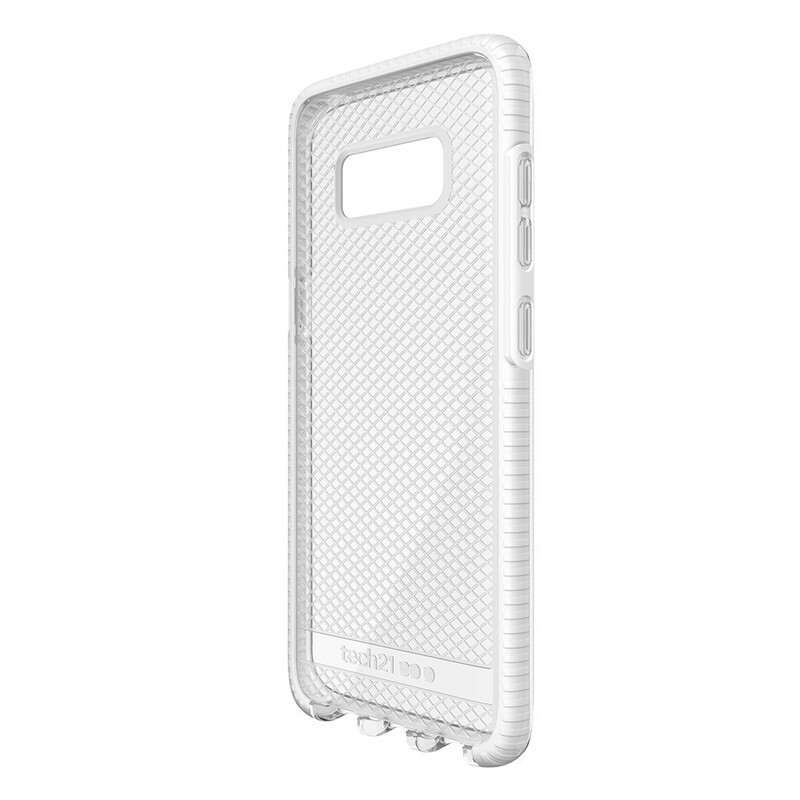 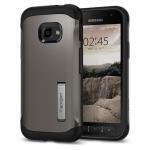 This case is made from FlexShock, a hybrid material that absorbs and deflects impact forces while resisting scratches. 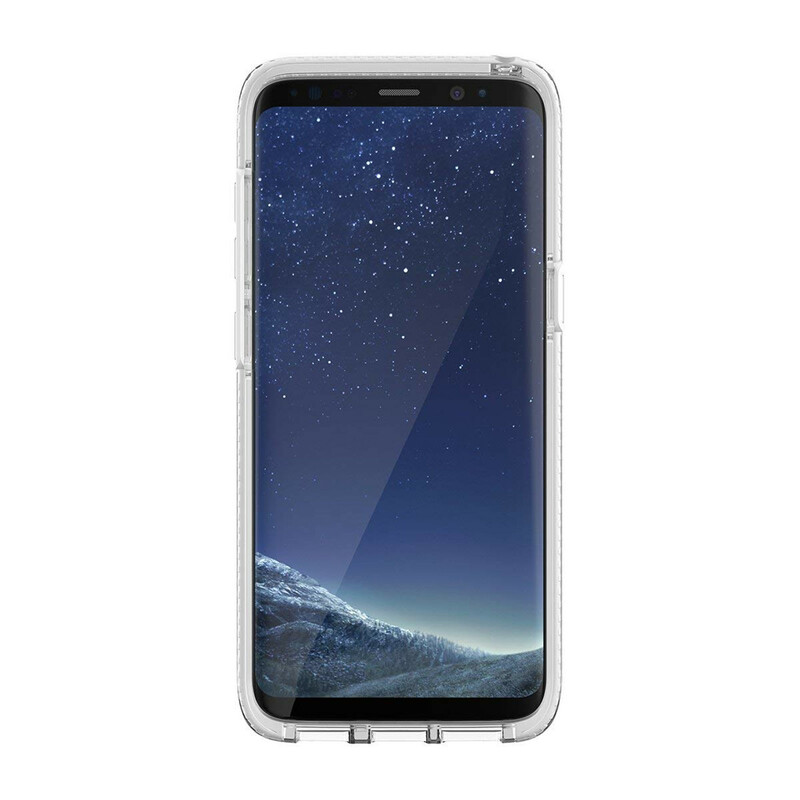 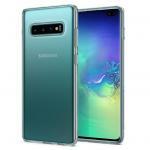 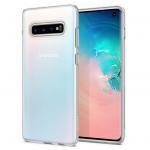 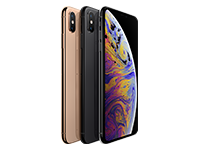 The raised bezel protects the screen when the phone is placed face down. 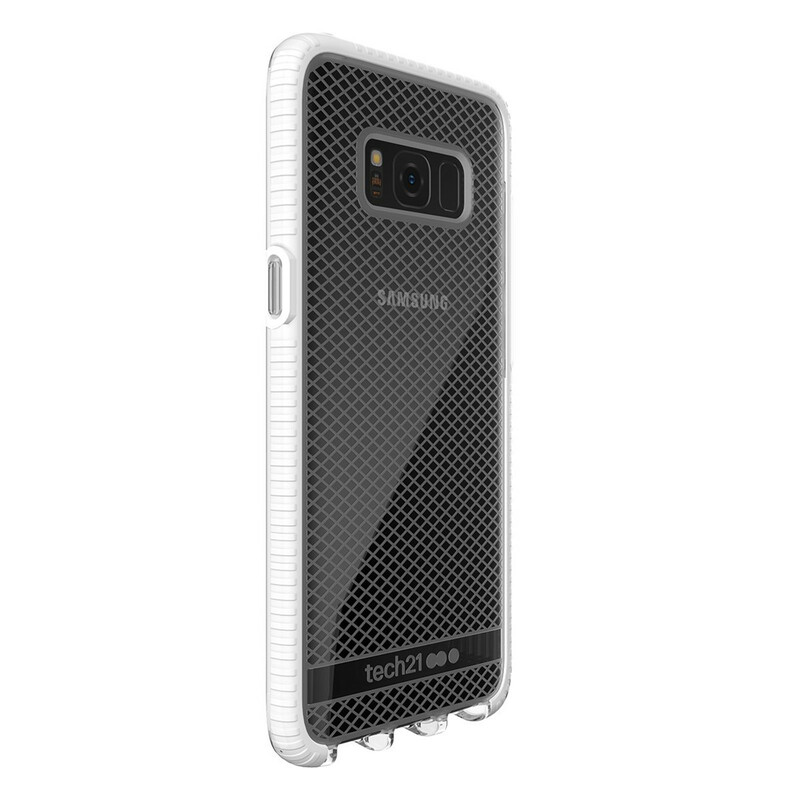 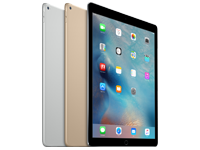 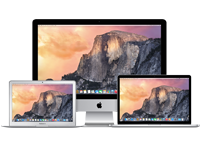 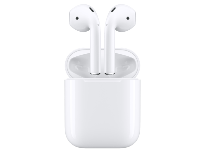 Its translucent exterior is smooth with a checkered pattern.